My first attempt at Venetian Gros Point - Adaptation of a Dover design. No 20 crochet cotton using as many as 30 strands for the padding and 130/3 silk for the embellishemets and raised areas. 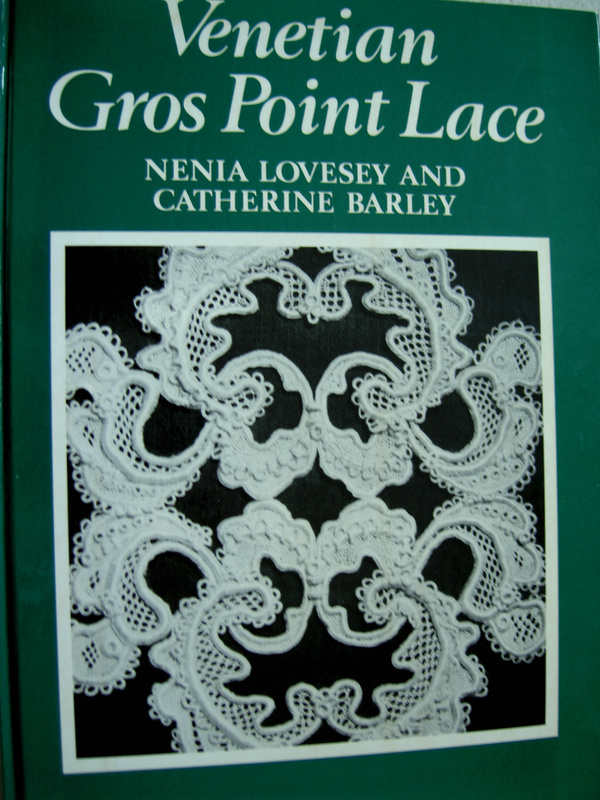 Front cover of book on Venetisan Gros Point written in conjunction with Nenia Lovesey, my tutor and friend. 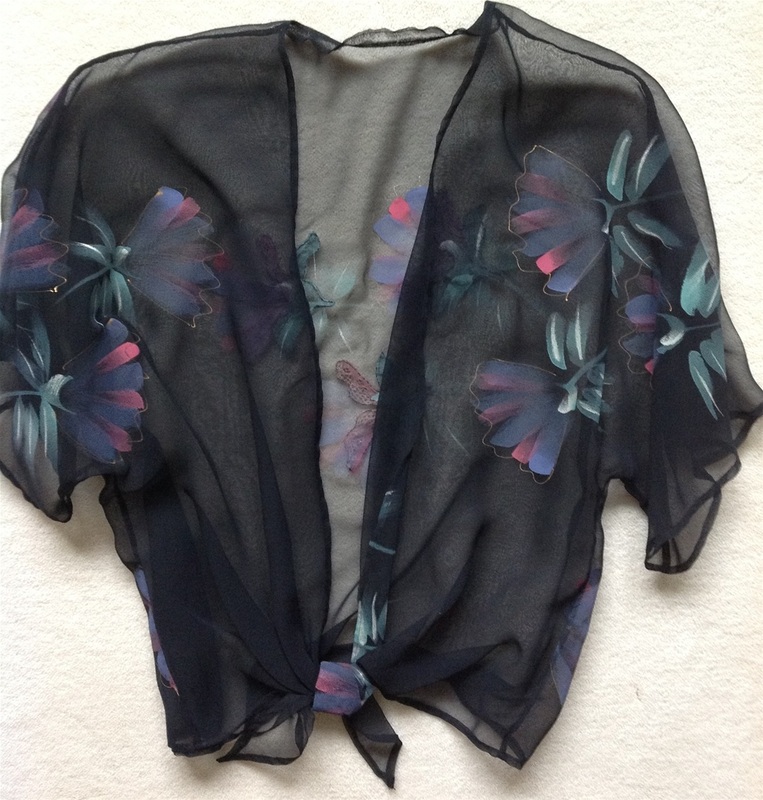 Little tie front jacket portraying the printed flowers on black chiffon fabric. 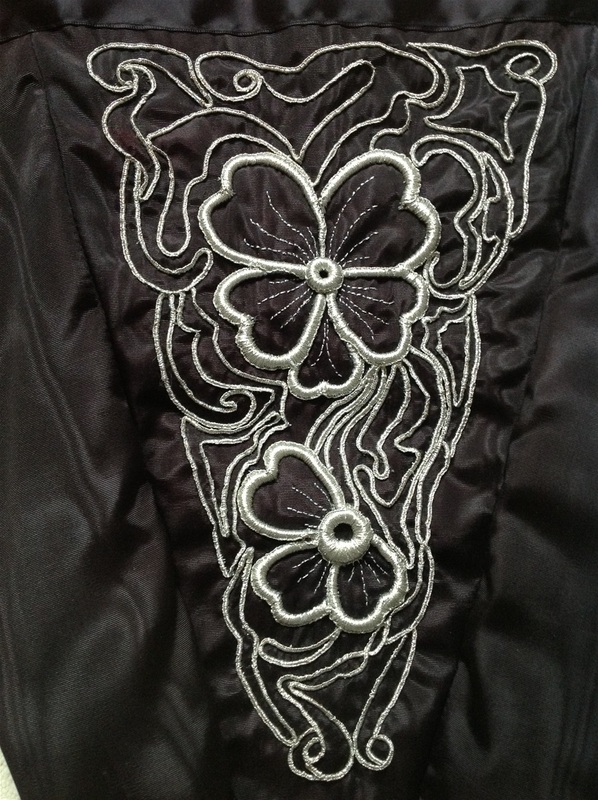 Jacket back showing additional Gros Point style petals. Detail clearly showig addition of beads. Black water marked taffeta camisole with Gros Point type raised work, using silver metallic thread. Too difficult to work tiny buttonholed loops etc with a metallic thread! 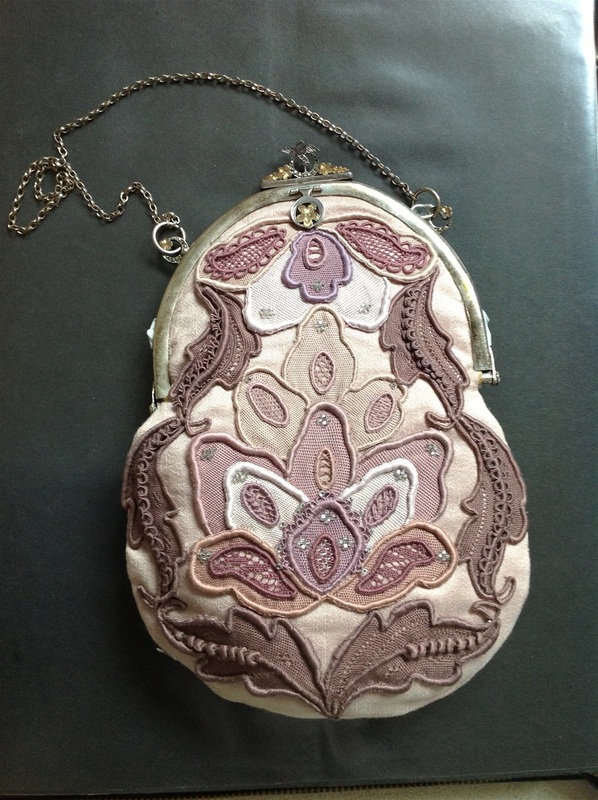 This antique marquasite frame was purchased to make into a bag for the ecru work, but as I didn't happen to have the pattern with me that particular day, it turned out to be the wrong size and shape - I couldn't get a refund, so had to make another bag! 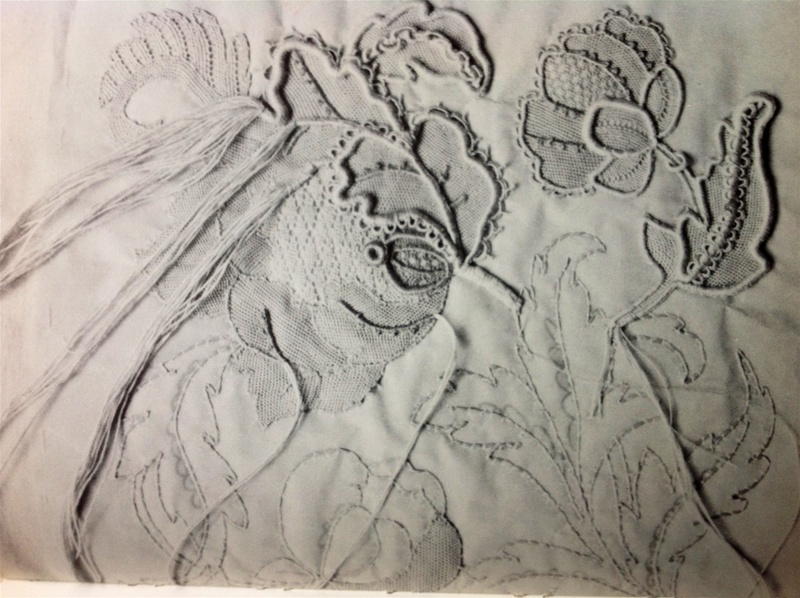 Detail showing the number of threads required to raise the padded areas and using the 'trace' method to quickly build up the padding. Gros Point sample featured in my book 'Needlelace Designs and Techniques Classic & Contemporary'. Detail. 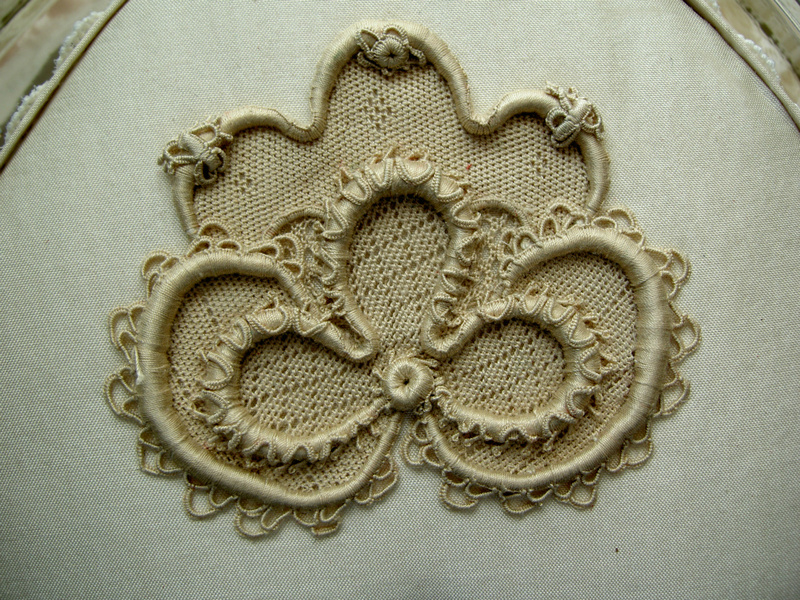 I have seen some excellent reproductions of this pattern worked by several lacemakers, one of whom I actually sat next to at the OIDFA Conference at Caen 2012! She recognised me and showed me a photograph of her work. Gros Point Venise came into being during the early part of the 17th Century and was produced until the middle of the 18th Century. 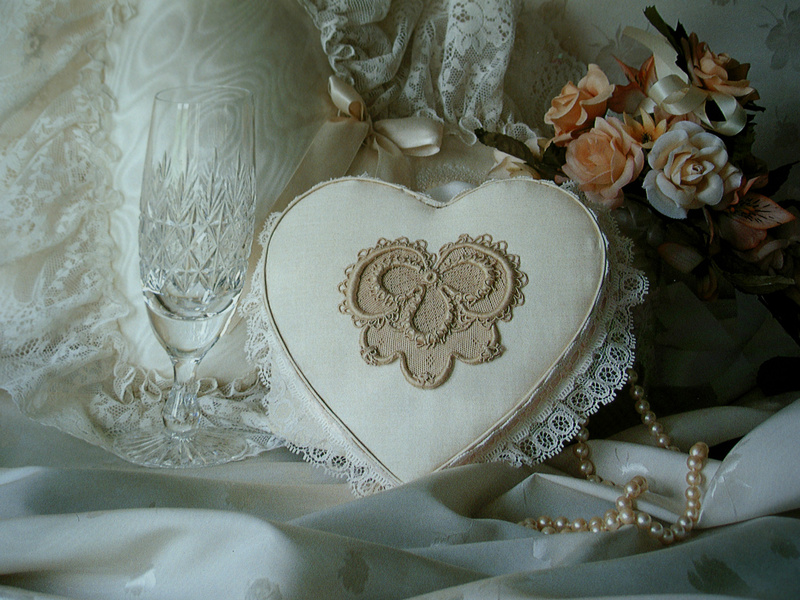 It has been said by many to resemble carved ivory, but made of the finest of threads. 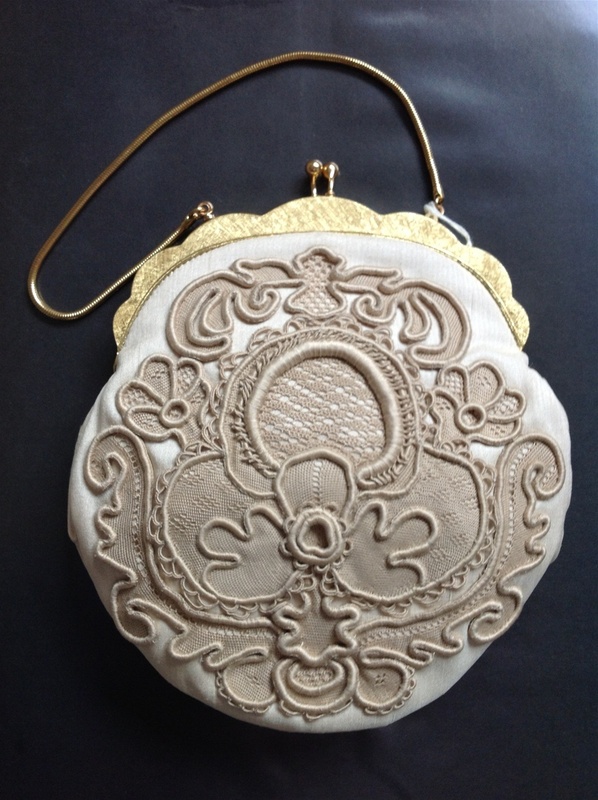 Heavily raised annd richly adorned with many minute buttonholed loops and picots, it was held in high esteem, much sought after and regarded as a status symbol. 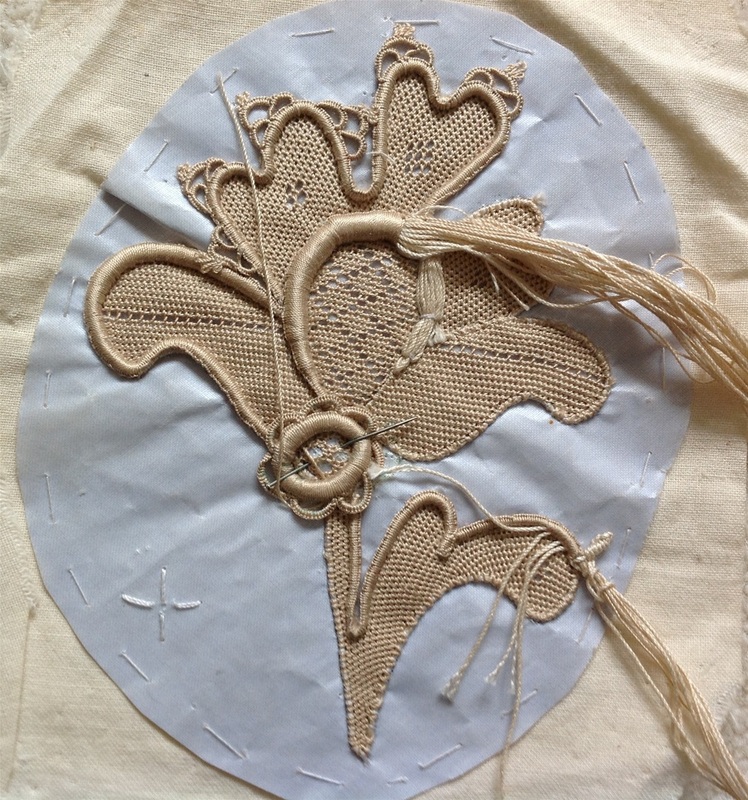 There are several types of Venetian needlelaces, such as Rosepoint and Point de Neige, which are similarly ornate but not as heavily raised as the Gros Point, and also flat laces known as Point plat and Coralline but I have never tried my hand at those! 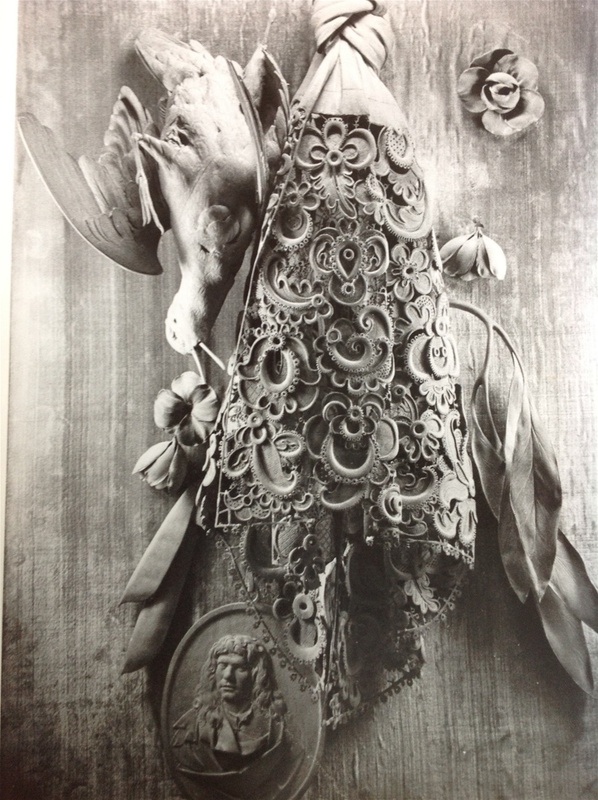 A gentleman by the name of Grinling Gibbons, born in Rotterdam in 1648, was not a lacemaker but a wood carver, whom Horace Walpole described in 1798 as 'an original genius, a citizen of nature'. Many examples of his work can be seen in churches, stately homes and museums. 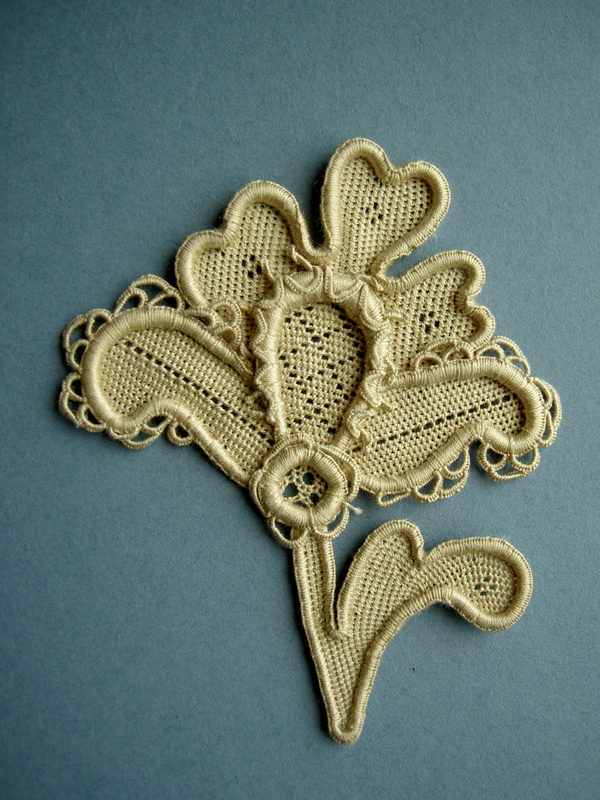 He was a man who was highly appreciative of the many beautiful things that surrounnded him and Venetian Gros Point lace has been cleverly incorporated into many examples of his work. The cravat displayed at Chatsworth House, Derbyshire, is an oustanding example of his skill and workmanship, and it is difficult to imagine that this was once a solid piece of wood'. My first piece of Gros Point was worked in 1983 and is an adaptation of a Dover design which many of you will recognise. 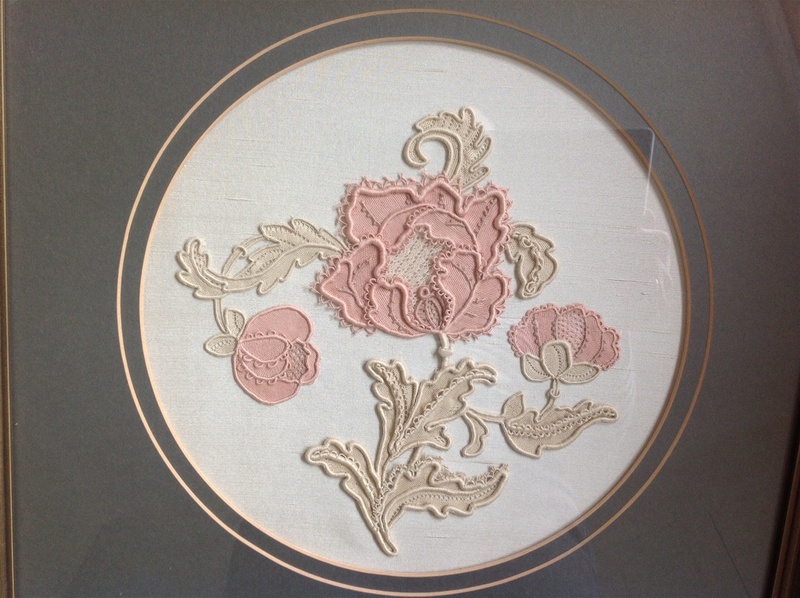 The use of the pastel shades of pink/peach were much frowned upon at that time but some 20 years or so later we are constantly being reminded that we ''must move with the times and not dwell in the past'! 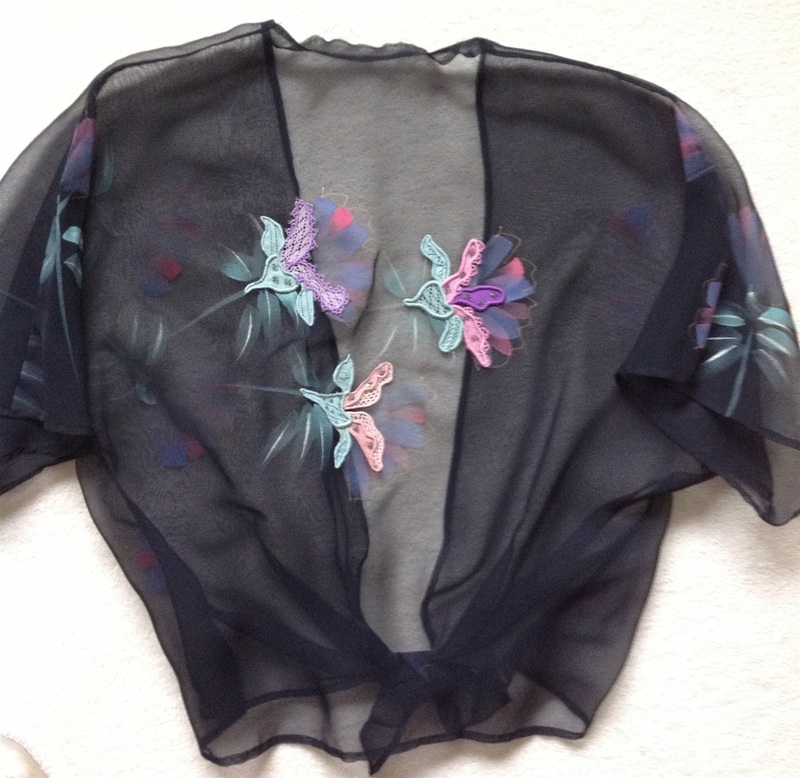 The black chiffon jacket was also an early work, made in 1985 and portrayed in the book Venetian Gros Point Lace written in conjunction with Nenia Lovesey. 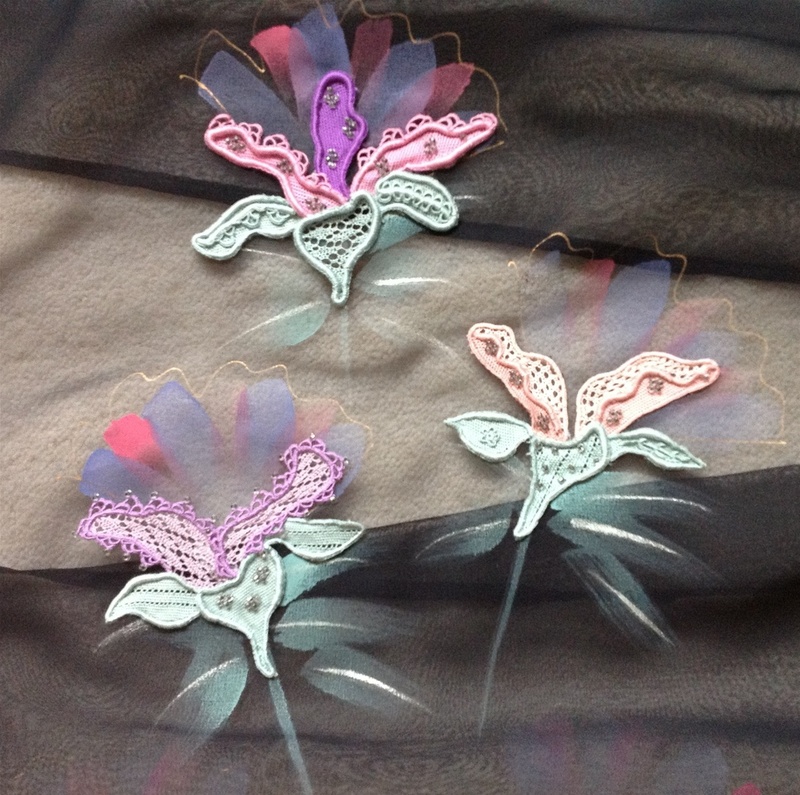 This little tie front jacket has been embellished with additional Gros Point style petals which have been attached to the printed coloured flowers on the fabric - again a contemporary use of a very traditional type of lace, as is the raised design worked in silver thread on the little black camisole, both of which I have worn.